Raise the Gen IQ of your whole organization. Engage every generation with these training tools. Strategic Gen IQ for Leaders: Find the talent you need to drive growth. 21mill: Training designed for Millennial professionals. Defeating Unconscious Bias: Counter unconscious bias with 5 simple tools. 4th Quarter Careers: Capture institutional wisdom before Boomers retire. Planning for growth? Use Gen IQ to navigate the changing tides of the talent pool and unleash innovation. In this one-day, interactive session, Amy guides your executive team to overlay organizational goals and objectives with specific generational strategies you can implement immediately. First, she facilitates group activities that identify the skills and perspectives crucial to upcoming initiatives. Then Amy helps you determine the generational cohorts who optimally provide the essential mix of talent you need. 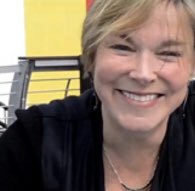 As you identify resources and priorities, Amy provides strategies for attracting and engaging the diverse, agile and innovative employees who can take the organization to the next level. And it won’t be boring! Amy brings engaging activities, along with her signature humor and been-there stories. Representing nearly half the workforce, Millennials are your company’s critical link to the future. This training solution provides the professional development that Millennials want and need. Built for Millennials by Millennials, 21mill provides virtual training to help Millennials succeed as professionals and as leaders. Less than 50% of Millennials report having a training opportunity in the past year, yet 87% view development opportunities as a top factor in staying in a job. 21mill's intelligent training platform consists of 10-minute micro modules centered around Millennial-specific training topics. With 21mill navigators there to lead the way and real-world activities to deepen learning, 21mill's training is sure to engage any Millennial professional. Unconscious bias, including generational biases, affects our organizations every day. In this training, realistic multi-generational vignettes reveal the impact of unconscious bias in the workplace and teach five practical and memorable tools people can use to counter their own unconscious biases. The comprehensive Leader’s Guide lays out a step-by-step outline to conduct a 90-minute training session. 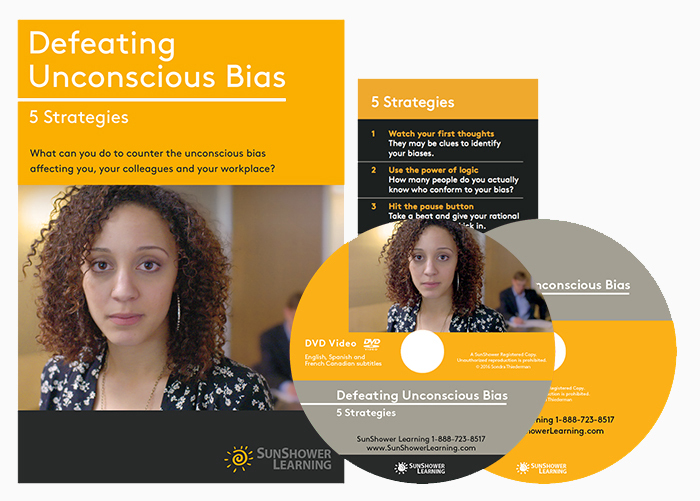 Learning how to employ five practical strategies to identify and counter their own unconscious biases, attendees of every generation leave the training with a new awareness of the impact of unconscious biases on themselves and their colleagues. This training is for the fastest growing demographic in the workforce -- employees over 65. Designed for companies that need to capture institutional intelligence, create valuable cross-mentoring, and integrate Boomer team members more fully into their multi-generational work groups, 4th Quarter Careers helps Boomers re-engage at work for a more productive and satisfying final lap in their careers. Explore the new rules for success, especially when working for young managers. Learn specific do-this-now techniques they can use to make sure they stay in the loop with their teams. Practice stepping outside hierarchy to become both a mentor and an intern at the same time. Work to adopt a tech-savvy mindset. They participate in “MindShift” exercises designed to help them approach new technology with insight and confidence. We consult with companies about Leading, Marketing and Innovating with Gen IQ. Our most popular consulting product is Leading Your Multi-Generational Team: A Customized Guide for Front-Line Managers and Team Leaders. "In companies committed to diversity and inclusion, employees are 83% more likely to innovate and 31% more likely to meet customer needs." "If just 10% more employees feel included, the company will increase work attendance by almost one day per year per employee." "Multi-generational teams make better decisions. They are correct more often." "Multi-generational teams are more innovative and creative." 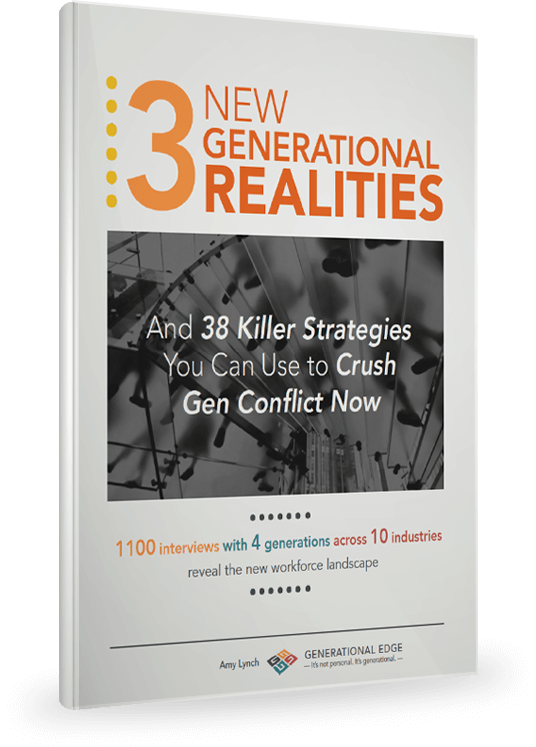 "90% of employees say generational conflict wastes time and lowers their productivity."